Mustang is now easily accessible tourism destination for both foreigner and internal tourism. Geographycally it is the district beyond Mountain, it is beyond Annapurna Range. 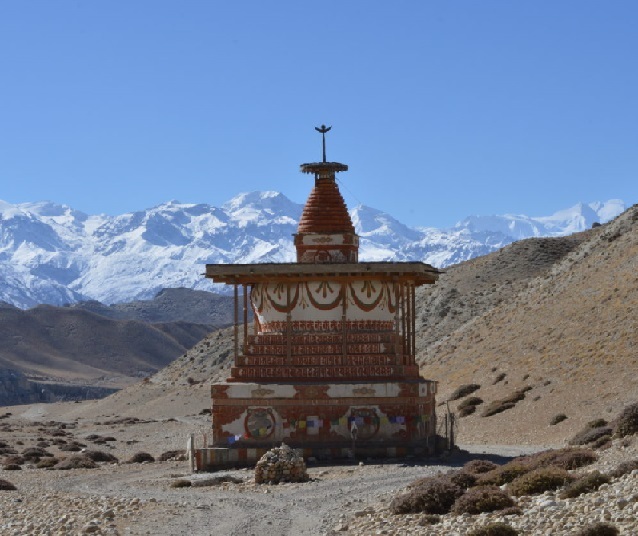 It is the most famous destination in Nepal which host Nature Beauty seekers as well as Hindu pligrimage to the Muktinath (main Shiva Temple of Hindu Religion). Mustang consist world renowned trekking route of Annapurna circuit. In these days, people mostly youth are found more interested in visiting Mustang. You can easily visit Mustang in short peoriod of time. It has been connected with road network. So, here I will describe route to Mustang. The way to Mustang would be started from Kathmandu. Or you can directly reached to Pokhara if you are heading from the western Nepal. It takes 1 day from Kathmandu to Pokhara or form any major cities of the country. If you like to get quickly through Airport you can take Airplane from Pokhara to Jomsom. Otherwise, you can take road trip which is comparatively cheaper and with lots of fun on the way. From Pokhara you can take public vehicle (Jeep) to Muktinath in two days trip. The journey get ahead through Beni and Jomsom. Mardi Himal is the closest Moutain from Pokhara where you can trek in short period of time. You can get relaxed in your weekend there. The minimum possible day to reach out close to Mardi Himal High camp is just not more than 3 days. You can obviously extend your trek if you found pleasant time and have longer holiday. You can go to Landruk, Gandruk, Chomrung or anywhere catching Annapurna trekking route around Annapurna Circuit. Mardi Himal Trek is an alternative trekking route to the visitors with less time and budget to observe Mountains closely and for collecting trekking experience. During the beginning of mountain trekking it probably be the best option to begin with. It will taught you more about what sorts of preparation and arrangement should be made while getting out for high altitude areas. If you have to move on trekking with your family then it would also be the best option. Just you shouldn't be hurry to gain altitude. You should make yourself habituate. Mardi Himal Trek is secondary trekking route of Annapurna Circuit. It has been popular among people around Pokhara and who reached out Pokhara and like to reach mountain nearby it quickly, easily, cheaply. 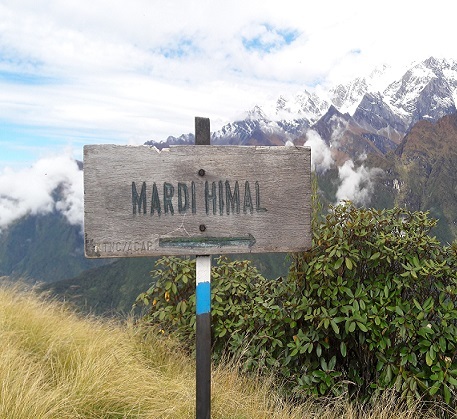 So, if you are interested on moving to Mardi Himal trek then you can easily reached out there. Let's begin supposing you are some where in Pokhara. You need to manage to get to Hari Chowk (Bagar) from where you get Bus to Hemja (now within Pokhara Metropolitain). You can reached to either Hari Chowk or Simpani from where you have to take Bus to Hemja - Milan Chowk. If you have access to reach Himja - Milan Chowk you can be there directly from where travel to Mardi Himal begin. You need to ask Jeep for Upper Sidding or Viujung little distance ahead towards lower direction in Jeep Station. In the first day, you can just made upto Upper Sidding (to be specific Viujung) and stay there. In next day, there wouldn't be vehicle this is the day to trek in real. I think you can made upto high camp in a day. You would take lunch in low camp and continue upto High camp and enjoy the mountain close to you. If you are lucky the climate and the sky would be clear. You found yourself surrounded by moutains and hills from everyside. It's really amazing in this short distance you can get close to the moutain. In the third day, probably you would like to reach view point in the top of the hill and have some fun before lunch. After lunch you can return to Sidding where you would again spent your third night. If you reach Sidding early and if you hire jeep/get jeep going to Pokhara then you can get back to Pokhara lately. Otherwise you have to wait next day to get back to Pokhara. participate in Pokhara Canonying. It is a advanterous water game. It is near to Lumre (in Ghalel). You can reached out either way by vehicle or by walking. These both are best spot on the way to Mardi Himal. Precaution for Mardi Himal Treak and on other High Hill trekking route. You would shortly get an altitude so move on slowly taking lots of water. Your breath would might be rapid, take rest at certain distances. All trekking member may not have equal physical ability so don't make them walk quicly instead make slow pace with them let them walk on their way, encourage them, give them water and energy giving foods like chocolates and biscuits. Don't throw your waste in trekking route. Wear a warm clothes. Don't take off clothes when you felt sweat during climbing up hills. The cold air instantly make you suffered from cold. Trek would only be joyful if you and your team is healthy. High hills low climate is not a joke for people with low immunity power. There are no words to describes the beautyness of Rara Lake. It would be more worthy if you reached there and observe with your own eyes. In words, it differs based on how much I pleasure and my ability to describe in words. I would like to move to the point. Let's start Route to Rara Lake from either Nepalgunj or Birendranagar of Surkhet. In first day your trip would be Surkhet to Khalikot (or anywhere in between) when you are heading to Synjha (Jumla). Sometimes you may not get bus to Synjha directly thus you have to take to Naagma (Kalikot) from where route seperated for Khalanga (Jumla) and Synjha (Jumla). You need to move to Synjha for heading towards Rara Lake. Vehicles are not allowed to operate during Night. So, it's almost impossible to pass the way in a day upto either Nagma or Synjha. From Synjha you can have to trek to Rara Lake. But for us it was difficult to reached out there. So, take rest in Mugu Rara. Next morning the ways of 2 hrs need to pass to reached Rara Lake. The most difficult portion of the Journey is in between Synjha and above. 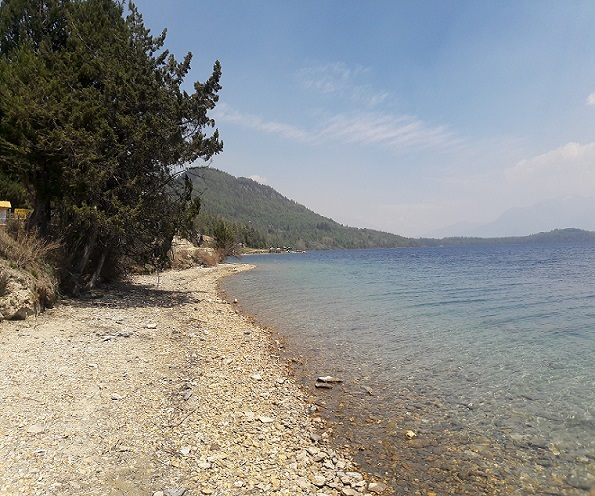 Or, You can reached upto Gamgaki (headquater of Mugu district) in bus or jeep from where 3 hours walk or a bit more required to reached Rara Lake. Taking plane directly to Talcha Airport from Nepalgunj is another option from where 2 hours of walking distance required to reach Rara Lake. Here, I have described in a very short summary hoping that you would get the straight information you need to know before moving or planning to be there some day. For making a planning you have to know how long the travel would be. 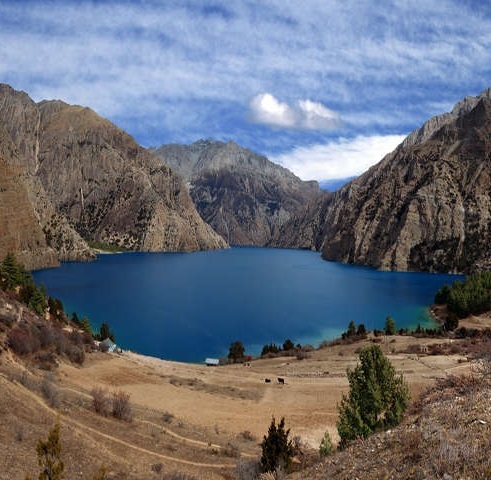 In minimum you would reached Rara Lake in 5 days if you do Trek from Synjha (say from Pokhara). Day 2: Surkhet Visit Around get ticket for 4 pm to Synjha but have to Stay in Patali khola (Dhilekh) during night. Day 3: Patali Khola (Dhilekh)----Naagma--->>> Synjha (stay there). In our case the bus which was said to reached Synjha don't go ahead to Synjha from Naagma reason less passenger. So, need to chage vehicle that is late to fill up all passenger and reached late in Synjha. Day 4: In the morning after breakfast around 7:30 trek begin to reach Rara Lake but due to difficult terrain and injuries to friend who can't reach to Rara lake and Stay in Mugu Rara. Day 5: Taking breakfast our team move towards Rara Lake. About an hour and half hour of walking we reached in one side of Rara Lake. We slowly moved forward with more pleasure in it's bank upto Green Hotel. Day 6: We enjoyed in Rara Lake whole day. Day 7: Return to Naagma and stay. Day 8: Move to Jumla visit and stay. Day 9: Return to Nepalgunj directly. Return to Pokhara in Night Bus. Day 10: Reached Pokhara through Syanjga Palpa Route. If I need to go detail then comment down below. I appreciate your suggestion and instruction. IT stands for information technology, this terminology describes the combination of both the technologies communication and computer. Knowledge of both the computer and communication together built information technology. This technology has significant importance in day to day life of this modern era. The demand of manpower with the knowlege of information technology growing day after day in exponential day. This shows that scope of information technology is expanding. This technology has changed the way of living of humans. Information technologies related economic activities is rapidly growing. Information technology ease students to learn in the way of their choice. The learning process has been so personalized that student/learner can have access to variety of informatin from different resources, variety of learning tools, network based learning. IT has been a major field of knowledge in 21st centuary dominating all other field of knowledge behind. However, the career opportunities cann't be determine as technologies keeps on improvements. Understanding of computer hardware, software and telecommunication and advances within them to apply in working environment is essential. It has been essential to understand IT, its components and potential for personal and professional growth and success. Under IT the major component includes operating system, software, network database which are related to personal computer or workstation in front of them. I.Sc. or 10+2 (Science) or I.E. or equivalent education level. At least second division or above result is required from the university or boards recognized by the universities you apply for. However, your eligible mark varies with the college to apply for it. IOE the leading organsation of Engineering under TU was established in 1930 is the first technical school established in Nepal. IOE stands for Institute of Engineering which was brought under TU in 1972. 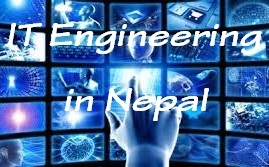 Previously, Nepal Engineering Institute at Pulchowk and Technical Training Institute at Thapathali was separate organization that combines to form Institute of Engineering (IOE) in later days. Now, IOE is an leading organization in production of skill manpower, technicians through it's various running programs like diplomas, undergraduate, postgraduate and Ph.D. To be a part of it anyone should get to it's entrance exam through filling up an entrance exam application form. The notice has been published by IOE about the opening of admission (for more detail about entrance notice you can also visit IOE Entrance Exam 2075 (2018)), For that anyone interested with fulfilling certain criteria can fill up application form for entrance exam. So, here you would get to know about the way to fill up the entrance application form. You should have bank voucher that you receipt from bank when you deposit Rs. 2000 from any branch of Siddhartha bank in account 00915056064 from anywhere in Nepal as an entrance fee. Voucher no. is required while filling up the application form. After 2-3 hours of receiving voucher you can proceed filling of application form. Your recently taken digital photo (300 px * 350 px) with clearly seen forehead with both ears. If you have at least these above mention file and document you can begin to fill up application form. You would be given necessary instruction reading these you can proceed on clicking next each step. Some steps you may confused would be explained here. In the step where instruction is given to applicant before clicking next you have to type the text shown in captcha and check mark in checkbox. Address Information: This field should be field according to the address on your citizenship card. Academic Details: It includes school details like ; choose SLC/equivalent level study in school, Board you appear, school name, symbol no. (including Capital Letter if any), School District, Passed year either in B.S. or A.D., and Percentage. Similarly for College details select +2 or equivalent level, Board you appear, Name of college, Symbol no. (lately appeared symbol no. if appeared in makeup exam), and select College district and Result type. Exam Registration Information: This all include about choosing of your preferences. The more quickly you fill up the form the more chances of getting your choosen entrance centre, date and shift for entrance examination. Select exam centre, choose the date that is suitable to you. If that date is not fully choosen by applicant then green light glows. Otherwise you have to select another date. Then select shift for that day. Spam verification: Fill up the box with right captcha, if ununderstood then refresh to get new captcha. Then click on Save and proceed. After clicking on save and Proceed then you would get confirmation page. This should be kept printing safely to get admit card without which you can't get it. You can download that page in PDF format and you can print in your convient place. It notify that admit card would be available three days before the examination date. You have to check for admit card and color print it inserting your information given on confirmation page. If you just forget to print or download confimation page you can look on review. Some time it would be happen that you forget to save confirmation page or unintentionally you may have entered wrong information in the form. So, you may want to correct it out. If so, you don't need to go througly as filling up new form. You can recheck your previously filled up application form Just you need to do is go to this link: http://entrance.ioe.edu.np/Students/Review. You need to type your Last Name, Date of Birth and Identification No. to get your already fill up form where you can make some correction and submit again. Also you can get time to save confirmation page once more. You should have confirmation with you to get admit card. The information on confirmation is required while receiving admit card just three day ago of the examination date. Admit card should be color print and take an identification document with photo along with the admit card while appearing in entrance examination. Chitlang is famous for its greenery all around surrounded by green hills from three side and with peaceful environment, clean and free from crowd and noise, pollution, etc. Being close to city with attractive natural peaceful environment it has been the choice to many people. Beside its natural importance it also have cultural importance. It has traditional connection to our history. For a short trip away from crowd Chitlang will be the best option. It would not take long time. A short planning and in a short schedule you can made this trip. This is the place near to Kathmandu and easily assessable compare to other hilly attractive tourism destination of Nepal. This trip can be done in low budget and in short time. Hearing all this about Chitlang you may feel to reach to Chitlang and have willing to spent your certain time there. So, you will get to know about it after few minutes clearly. From where should I start guide you to Chitlang. In my opinion, it would better make sense if I tracked from Kathmandu since it's connected to every people all around Nepal. So, from any main junction of Kathmandu you can reach to Kathmandu Old Buspark (Purano Buspark) or you may use Maps.me offline maps in your smart phone to find it out. From the Old Buspark (Purano Buspark) you can ride bus to Thankot specifically to Godam from where you would directed toward your destination. Godam is the point 15 minute walking distance away from Thankot from where we get separated from Prithvi Highway. You can directly reached out Thankot and begin your jouney towards Godam if you easily reached out nearby there or are travelling from the west in the Prithvi Highway. Get no worry if you don't get vehicle to Godam from Thankot. When you make to Godam then you need to have about one hour jeep ride to Chitlang village. It's almost you have to wait for about an hour if you are not lucky enough. From Godam you can also get cable car to Bhalewsor (Chandragiri) as well. Peoples Queries while visiting Chitlang. You can take your vehicle (specially not during wet season). If you walk all the way from Thankot that would be real fun and adventures to hikers. You would enjoy staying in small cottage of Naspati garden in Chitlang organic village resort. Trout fish and Naspati wine are special dice. Before meal there would be cultural dances and after meal there is facilities for camping. 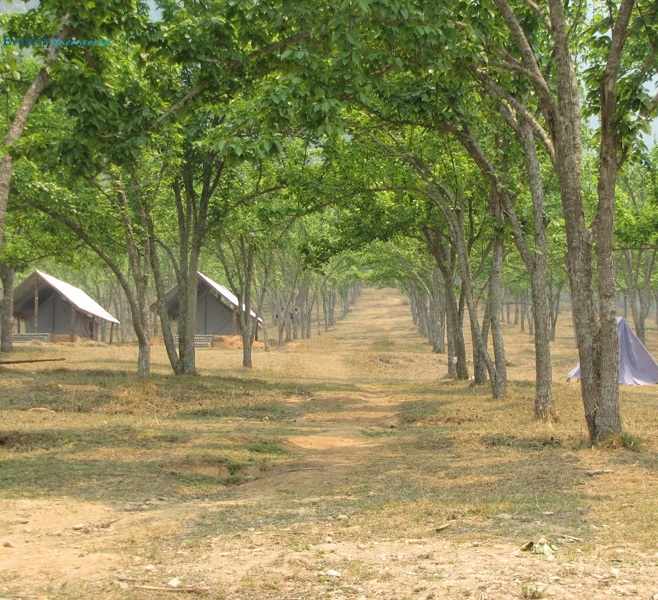 Shivalaya, Ashok Chitya and Satdhara are some visiting site of Chitlang. If you have one more day time you can travel to Khulekhani in 3 hours walking distance through the largest pasture (sheep farming) of Nepal. It would be better if you go hiking. First Goat cheese factory is there in Chitlang. You can get the taste of goat milk cheese there. Bike Hire is also available according to the board. Boating in Markhu can be done if you have time to get there. Institute of Engineering (IOE) has published notice for Entrance Examination for coming academic year 2075/076 in its affiliated colleges on different programs of B.E. and B. Architect. It is to notify to every eligible students who can apply for admission filling up Online Application Form, that remain open from 2075/03/31 onwards until 2075/04/13. Detailed information related to Entrance Exam was published on 2075/03/20's Gorkhapatra Daily and 2075/03/21's Kantipur Daily. Entrance Examination would held after 18th of Shrawan, 2075 onwards based on notice published by IOE Communication and Technical Center (ICTC) on respective day, time and shift. You can apply to following colleges. Apply for admission on following IOE programs. 1. One should have studied Physics, Chemistry and Mathematics in grade 11 and 12 from a TU recognized institution, Higher Secondary or A Level, or Diploma Engineering or equivalent level with at least 45% above of its full marks or at least C grade in every subject in grading system or students who appears in final examination (not result yet) also can apply for entrance examination on respective programs. 2. Foreign student can only applied for full payment programs only. You need to fill up entrance exam form available in IOE website: http://entrance.ioe.edu.np and submit on the same website. Online form would be available from 10 o'clock onwards on 31st Asard, 2075 and remain open until 17 o'clock on 13th Shrawan, 2075. Form should be filled within the time frame beyond which form would be automatically closed. You can fill up online form from any place where internet facilities availble in a given days and time. Entrance Exam fee Rs. 2,000/- (two thousands only) should be paid from any branch of Siddhartha Bank Limited inside Nepal in account no. 00915056064 and receive bank voucher after payment which is required during online form filling. Exam fee can be paid from 29th of Asard, 2075. After receiving paid bank voucher from bank exam fee paid wouldn't be returned back. While filling up the entrance exam form given information should fill up compulsory. *Applicant Identity: Name, Father name, Mother name; *Date of birth, *Permanent Address, *SEE/SLC and I.Sc./10+2/A level/Engg. Diploma or equivalent level result report; *Recently taken photo of 3 cm * 3.5 cm (300 * 350 pixel) with plain bacground color digital photo. (other size photo wouldn't be accepted.) *Each shift include limited no. of applicant so, applicant should fill up the form and fixed your favourable time for exam. While filling up the online form, any document that gives your identity like photo, citizenship card should be submitted in its digital copy (scanned copy) of the document. Acknowledgement page should be print after submitting the online form. 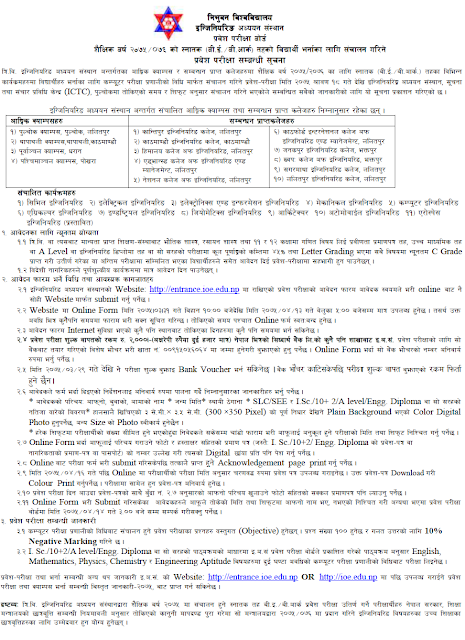 Admit card would be provided simultaneously after 16th of Shrawan, 2075. The admit card should be color print. Admit card is compulsory during entrance examination. While applicant appears in entrance exam he/she should bring admit card as well as any original document that gives your identity with clear photo. For those applicant who have submitted online form should make sure whether their name is on the list in a given particular date and shift otherwise contact to entrace exam board within 3 pm on 14th of Shrawan, 2075. Information related to Entranc Examination which will be obtained on notice about the requsities required to fill up the entrance application form. Entrance Exam would be operated based on Computer Examination System on which questions are objectives. 10% would be negative marking for wrong answer. Based on the curriculum of I.Sc./10+2/A Level/Engg. Diploma or equivalent level IOE Entrance Examination Board has published syllabus of English, Mathmatics, Physics, Chemistry and Engineering Aptitude subjects. Board would take examination for two hours based on computer examination system.